This thread is a continuation of the hugely popular BA Tier Point runs 2016 thread. This is intended to be a starting point for finding key origin and destinations to tailor your tier point runs, but you will still need to do some leg work to find the correct dates and flights. Also, don't forget that with some of these fares there will be positioning and other costs associated to get to the start of the tier point run. Special thanks to all members who have given their time to support the 2016 BA Tier Point runs thread, in particular those who tirelessly updated the thread's wikipost and those that offer advice and comments in response to the many queries posted. Much of the new information incorporated into this primer was transferred over from the old wiki, but it has been updated and refreshed where necessary. One other invaluable website is Expert Flyer. You can subscribe to the site relatively cheaply and the amount of useful information on there (MCTs, flight loads, fare rules etc.) will certainly be very helpful if you are regularly looking at booking trips and maximising TPs. Also currently Aer Lingus does not earn Tier Points if booked under the EI flight number, although they do earn a small amount of avios. 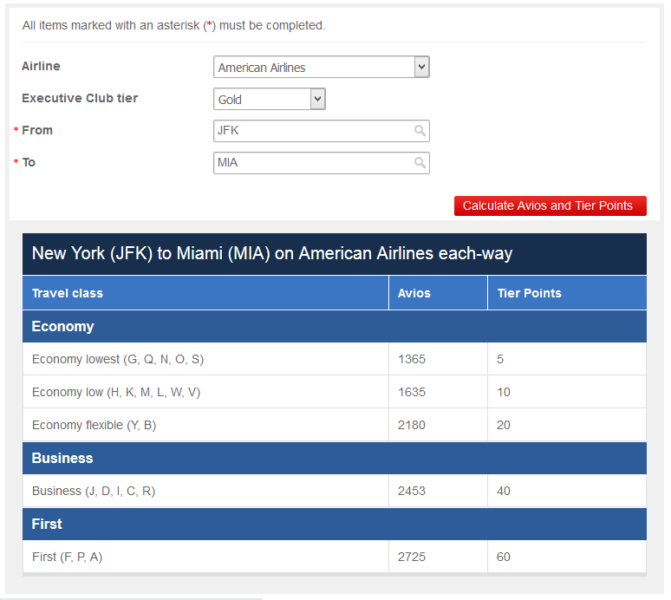 With the purchase and integration of EI in to oneworld more and more EI flights now have BA codeshares which can be booked on ba.com as standalone flights. 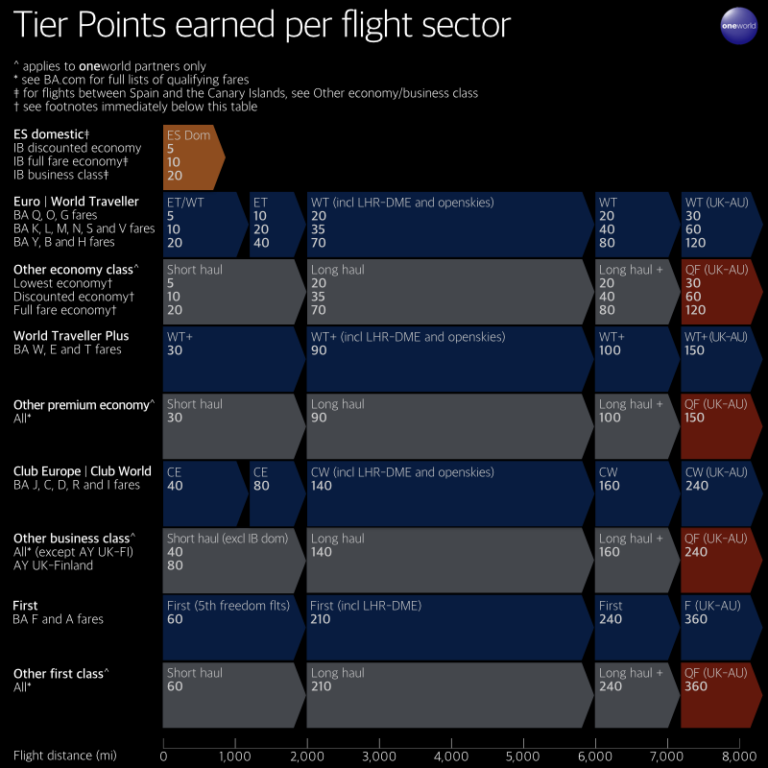 If booked under the BA codeshare the flight will earn Tier Points. 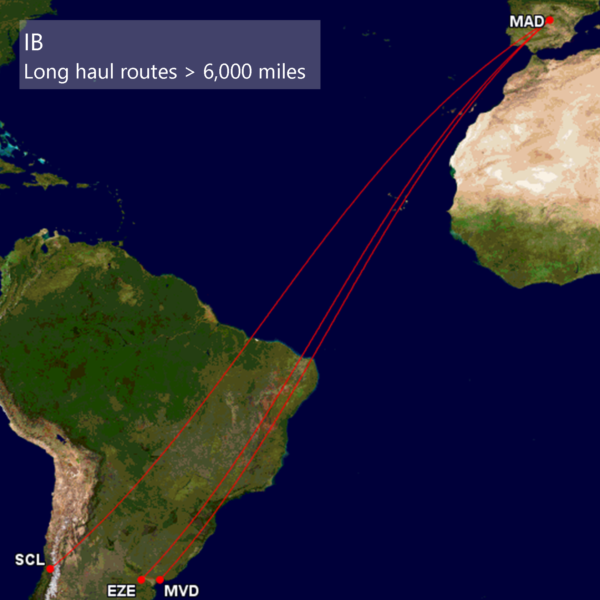 In addition it may be expected that EI will become a full Tier Point and Avios earning oneworld partner airline in due course, although there is no indication yet on a specific date for this. There have also been big changes to TP earning on AA domestic two cabin services and the domestic first cabin will now earn business TPs and avios for departures on or after 11 January, see post #2 below for more details. As of 1 April 2017 BA domestic flights have been re-classified in to two cabins with CE and ET. Earnings on UK internal flights fall in line with standard ET and CE rates. Y, B, H will continue to earn 20 TP, but R, I, D, C, and J will now be sat in the CE cabin and earn 40 TP per flight. The table above has been updated to reflect this change. 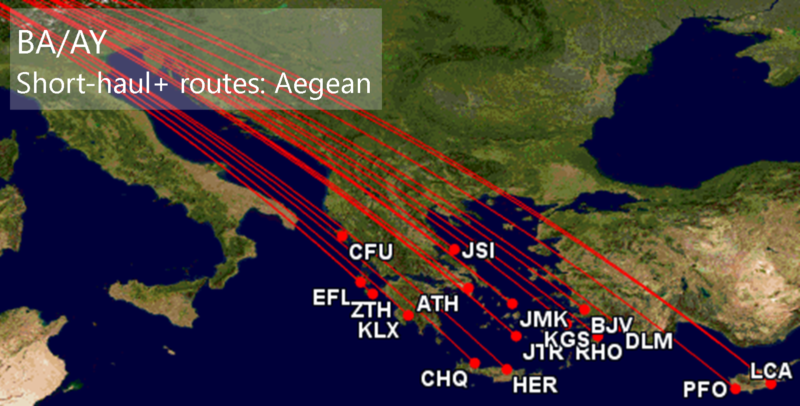 LHR to/from - Athens (ATH), Bucharest (OTP), Chania (CHQ), Corfu (CFU), Gran Canaria (LPA), Helsinki (HEL), Istanbul (IST), Kalamata (KLX), Kefalonia (EFL) new May 2018, Kiev (KBP), Kos (KGS) suspended, Larnaca (LCA), Mykonos (JMK), Reykjavik (KEF), Santonrini (JTR), Sofia (SOF), St Petersburg (LED), Zakynthos (ZTH) due to start in summer 2017, and Tenerife (TFS) due to start winter 2017. 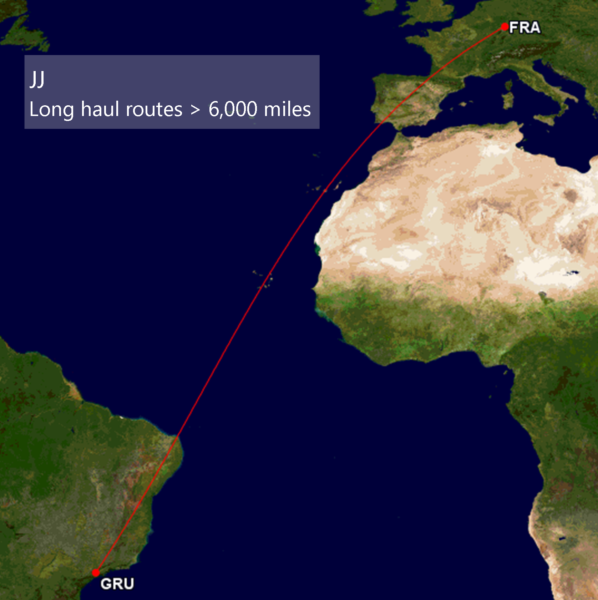 LGW to/from - Algiers (ALG), Bodrum (BJV), Catania (CTA), Dalaman (DLM), Fuerteventura (FUE), Heraklion (HER), Lanzarote (ACE), Larnaca (LCA), Las Palmas (LPA), Madeira Funchal (FNC), Malta (MLA), Marrakech (RAK), Paphos (PFO), Rhodes (RHO), Tenerife (TFS), Thessaloniki (SKG), and Tirana (TIA). LCY to/from - Mykonos (JMK), Santonrini (JTR), Skiathos (JSI) (new summer 2017), and Reykjavik (KEF) (new October 2017). MAN to/from - Mykonos (JMK) new summer 2017, Malaga (AGP) new summer 2017, and Helsinki (HEL) (operated by N7 for AY). 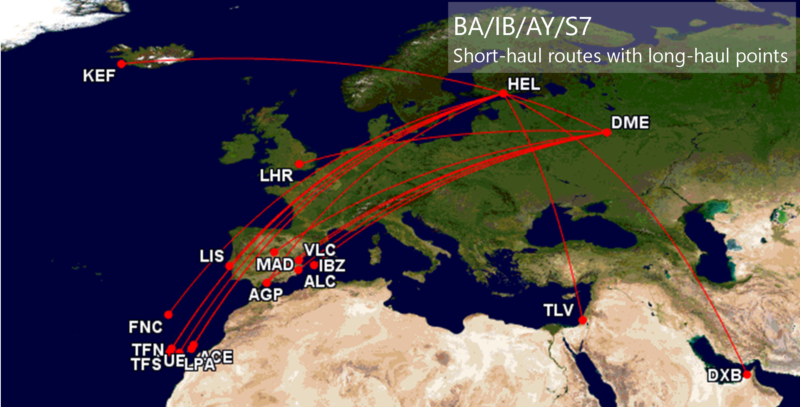 EDI to/from - Palma (PMI) new summer 2017, and Helsinki (HEL) operated by AY. BHX to/from - Malaga (AGP) new summer 2017. Some of these routes are announced to start in 2017/18 so may not yet be running. Closer to London, BA's own premium leisure Club Europe fares are not to be sniffed at. In particular LGW short haul CE fares tend to be cheaper than LHR short haul fares. 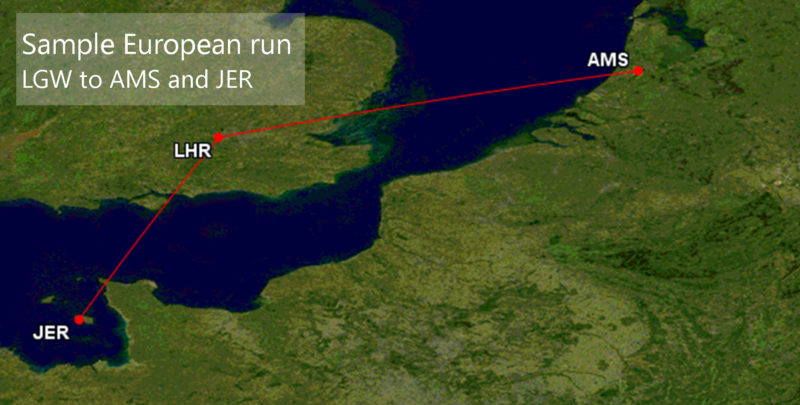 Same day hops between Gatwick, Amsterdam, and Jersey are popular by virtue of the absence of Saturday night stay restrictions on many LGW discounted Club Europe fares. AMS sectors typically price out at around £100 per sector (in R class) and at around £90 to/from JER (again in R class). 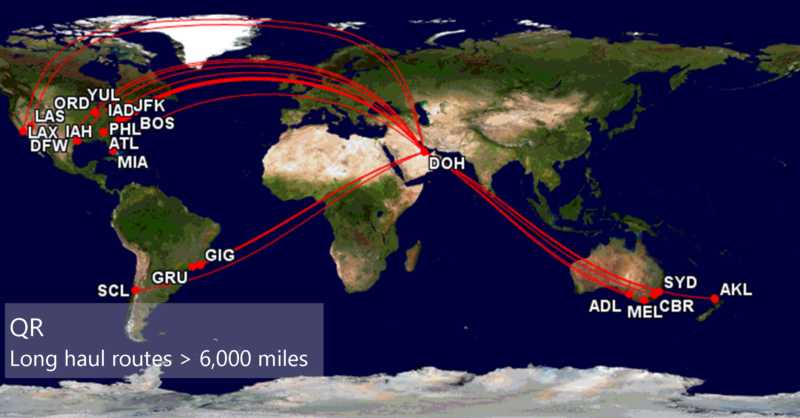 In order to help provide some clarity here is a list of oneworld carriers and the POUG/AUP approach. "Yes" means you earn the upgraded TPs and avios, "No" means the flight will credit at the originally booked level. Cancellation penalties and stopover fees change from fare to fare and from country to country, although stopovers are usually Euro 200 each-way if you break your journey in London for > 24 hours. Also remember you need to factor in the cost of getting to your point of departure, and potentially the cost of a hotel if you are travelling too far to return in a day (e.g. Cyprus, Athens). http://www.whichbudget.com/ lists budget airlines flying to all major cities, and www.skyscanner.net may also be useful. TA has to issue the ticket in the country of your BAEC membership as well. A BA Holiday booking (flights & hotel) is UuA'able and treated as a TA booking, so a booking including non BA flights could not be UuA'ed. Also a BA Holiday booking which was made using a TA can not be UuA'ed. Welcome to the thread. This is a continuation of the highly popular 2015 Tier Point thread. We keep track of other prices, as well as useful reference information for those planning tier point runs. See here in post # 445 for an archive of exEU sale fares. Current availability is not guaranteed. 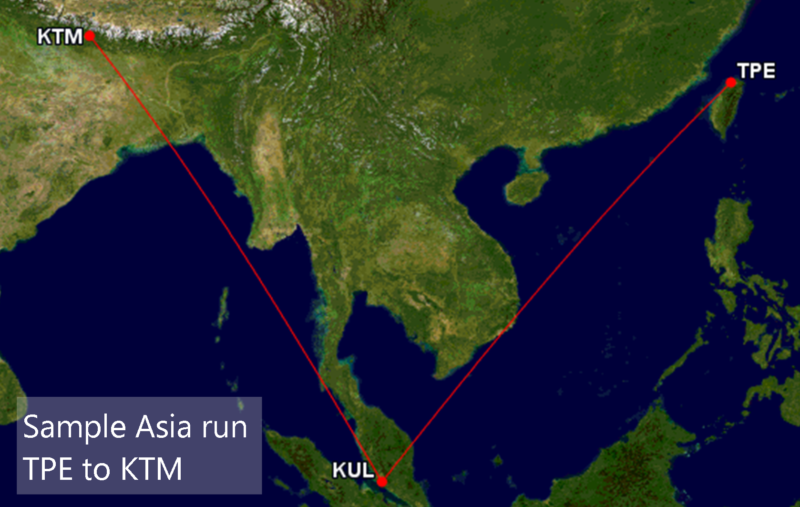 20 Oct | £2.73/TP | £1750 | 640 | LHR-AMM-BKK-HKG//HKG-BKK-AMM-LHR | D-RJ/D-RJ/D-CX//D-CX/D-RJ/D-RJ | RJ | Frequentflyer99 | Only bookable by RJ over the tel as BKK/HKG/BKK legs on CX can't be booked online or by TA's. RJ res supervisor managed it with great difficulty ! 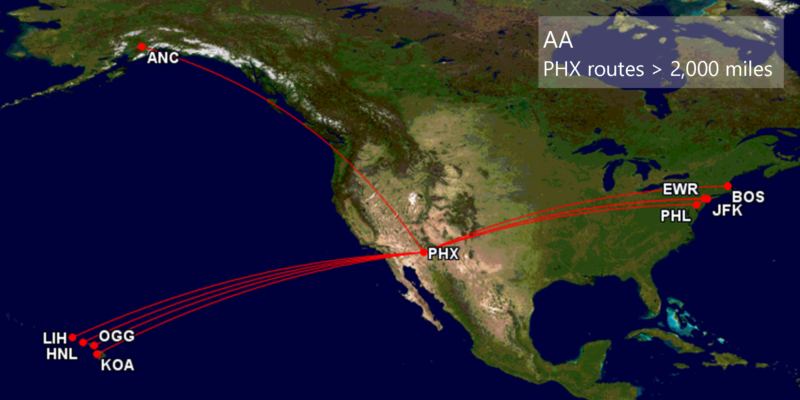 30JAN | £1.02/TP | £509 | 500 | JFK-PHX-SJD-PHX-JFK | P/I/I/P | aa.com | OverTheHorizon | Decent flight & connection times, though overnight return from PHX is in a 737 recliner !! I can confirm we are now in 2017! Everything has been refreshed, and there are a few new sections included to try and improve the reference posts. The wiki has been cleaned out of most of the old runs as these are no longer current. I have left a few in though which I think are still live. Good work, Here is to some good new runs this year too! Great work! I have a small question regarding AA. They now book in J instead of A from 11 january. 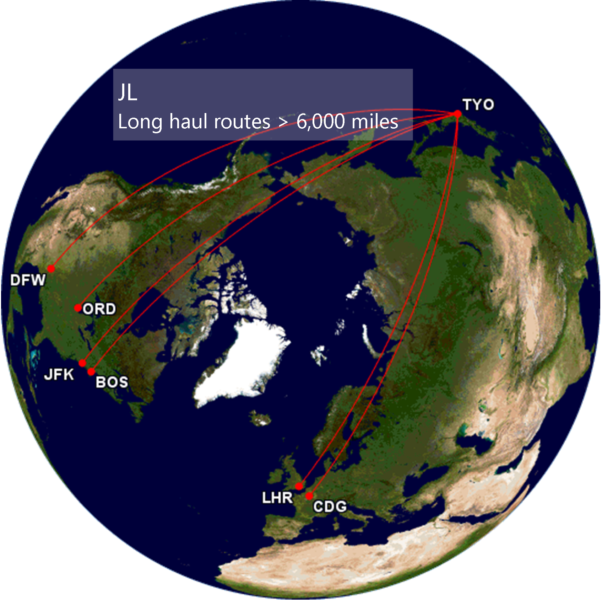 But what happends if I book a trip from for example OSL-LHR-JFK-LAX with J to USA and in the 3 class AA flight from JFK to LAX. Will I then now be put in the business class cabin on the AA flight with J class or will I get the first cabin in A class? 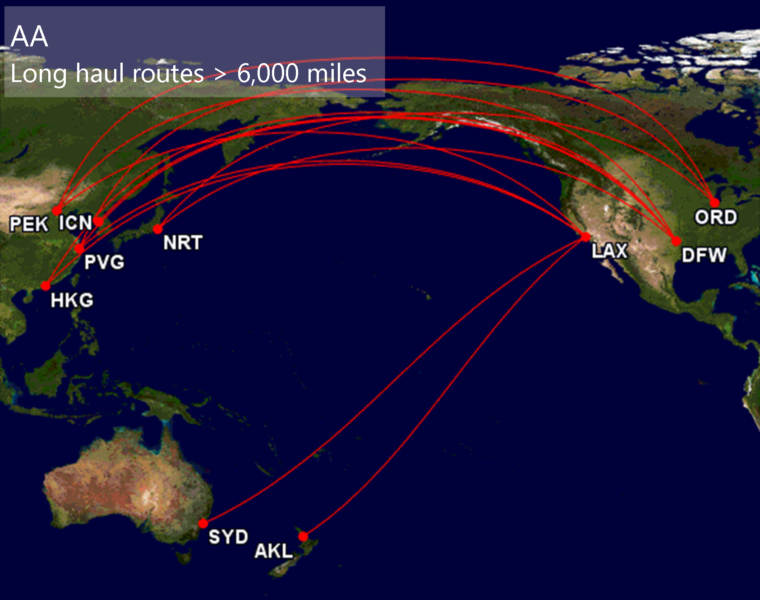 Or maybe if I fly A from LHR to JFK then the onward flight to LAX will be in A also? Thanks for the update KARFA! Due to some bizarre planning, I find myself needing to reach LAS in March, but also needing to spend 2 nights in New York on the same trip. With that in mind, I've suddenly realised I might be able to pull of a TP Run, but am unclear if stopovers of over 24 hours (and in the US opposed to UK) are permitted. If they are, will they simply attract the €200 fee? 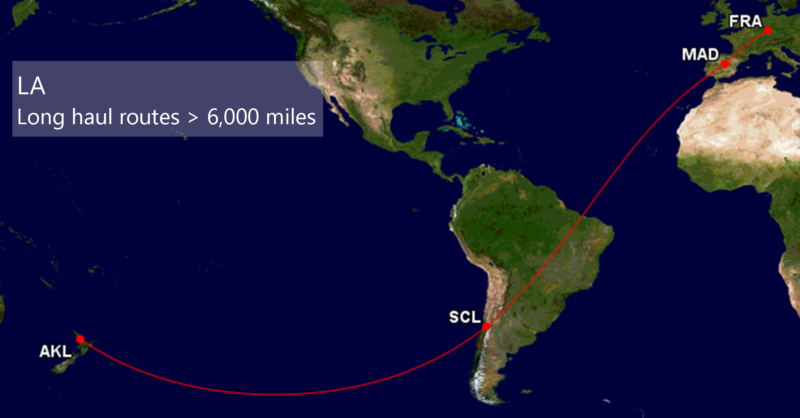 I'd be looking at DUB-LHR-JFK-LAS return - or potentially flying back from PHX opposed to LAS if it makes any difference. Would someone mind helping me in terms of the stopover issue?